Over the course of the next couple months, we’ll be highlighting some of the services provided at Cleveland Hearing & Speech Center (CHSC) so that you’re able to get a better understanding of the services that your team and individual donations support. First up – the Community Center for the Deaf & Hard of Hearing. Interpreting: At the Community Center for the Deaf & Hard of Hearing we provide interpreters wherever and whenever they are needed. You can request an interpreter anytime through our website, on the phone, in person or by email or fax. Interpreting services could be needed for a variety of services, including: doctors’ offices, hospitals, weddings, court rooms, police stations, churches, funerals, employment offices, law offices, schools, car dealerships, etc. Specialized Services: Specialized services include staff specialists who are available to provide guidance to all who are interested in the sections of the ADA that apply to persons who are deaf or hard of hearing. Support Services are provided to deaf and hard-of-hearing children, adults and families in the areas of housing, government entitlements (obtaining or retaining food stamps, Social Security payments, etc. ), employment, education, parenting, budgeting, reading and interpreting documents and communication differences. Neuropsychological Assessments: We provide neuropsychological assessments for individuals ages 4 to 21 years of age who are deaf or hard of hearing to evaluate cognitive strengths and weaknesses. These assessments improve the understanding of a person’s abilities and provide guidance for how to support learning and behavior. Sign Language Classes: American Sign Language classes are available for persons wanting to improve their communication abilities with family, co-workers and friends who are deaf or hard of hearing. 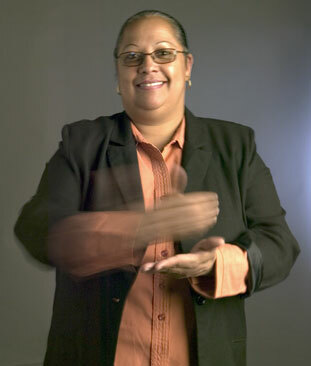 CCDHH provides three levels of ASL courses at set times and locations throughout the year. Instructors are fluent ASL signers who teach all classes. On-site corporate classes are also available. Events: In addition, we have a free public VIP room and host many social and educational events for deaf and hard-of-hearing people throughout the year. On behalf of Cleveland Hearing & Speech Center, its Community Center for the Deaf & Hard of Hearing, and its clients, thanks for your help! You are the heroes that allow us to continue providing these types of services to those who need the assistance. Previous Previous post: Only 10 Team Spots Left! Register Today to Reserve Your Spot.